Relations between China and the United States have clearly gone downhill in the past few months. Is this a temporary blip caused by Donald Trump or a manifestation of deeper problems? This lecture will argue that fundamental structural factors are responsible for the recent deterioration in bilateral relations. 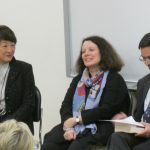 It will evaluate the economic, political, cultural and strategic fault lines between the US and China, and identify the key driving forces among these factors. 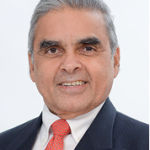 Professor Kishore Mahbubani is Senior Advisor (University & Global Relations) and Professor in the Practice of Public Policy at the National University of Singapore, where he also served as Dean of the Lee Kuan Yew School of Public Policy from 2004 to 2017. Before that, he served in the Singapore Foreign Service for 33 years, notably as Ambassador to the UN and twice as President of the UN Security Council. He writes extensively on public policy issues. He has authored seven books: Can Asians Think?, Beyond the Age of Innocence, The New Asian Hemisphere, The Great Convergence (selected by Financial Times as one of the best books of 2013), Can Singapore Survive?, and co-author of The ASEAN Miracle. 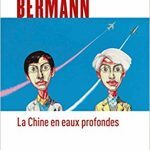 His latest book, Has the West Lost it? 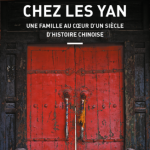 A Provocation was published in April 2018. 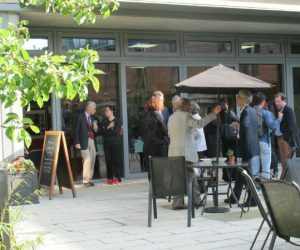 Kishore Mahbubani will give the China Centr eDistinguished Lecture in the Kin-ku Cheng Lecture Theatre at 5pm, which will be followed by a reception in the Wordsworth Tea Room at 6.30pm. All welcome. 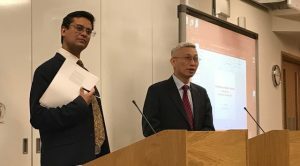 Rana Mitter was interviewed on BBC Radio 4, the World at One (8 October), on the arrest of former Interpol chief Meng Hongwei. The interview starts about 17 minutes and 12 seconds into the programme. Under President Xi Jinping, China has become a large and confident power both at home and abroad, but the country also faces serious challenges. 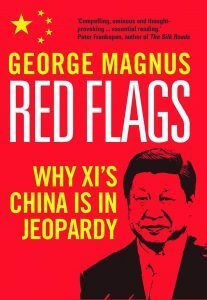 In his new book, Red Flags: Why Xi’s China is in Jeopardy (Yale University Press, 2018), economist George Magnus explores four key traps that China must confront and overcome in order to thrive: debt, middle income, the Renminbi, and an aging population. 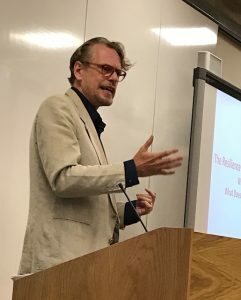 Looking at the political direction President Xi Jinping is taking, Magnus argues that Xi’s authoritarian and repressive philosophy is ultimately not compatible with the country’s economic aspirations. 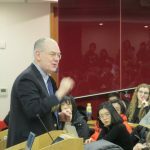 George Magnus is an associate at the University of Oxford China Centre, research associate at the School of Oriental and African Studies, and formerly chief economist of UBS. 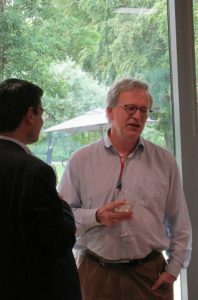 He has written extensively about China in the Financial Times, Prospect, and other economic and financial publications. 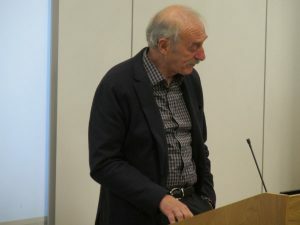 George Magnus spoke about his book at the China Centre on 9 October 2018. 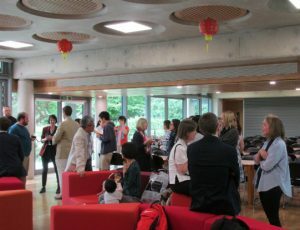 A farewell reception took place in June for Barend ter Haar, Run Run Shaw Professor of Chinese, who has taken up a new chair at the University of Hamburg. 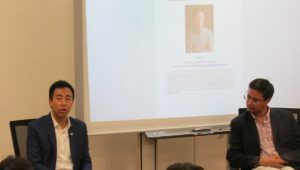 Gary Liu, CEO of the South China Morning Post came to speak at the China Centre in June. 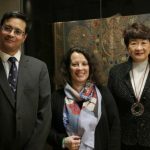 ‘Probing Authoritarian Resilience and Fragility in China: Lessons from Social Science and History’. 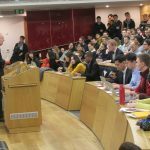 A workshop jointly organized by Claremont McKenna College and University of Oxford China Centre took place in the China Centre in June. 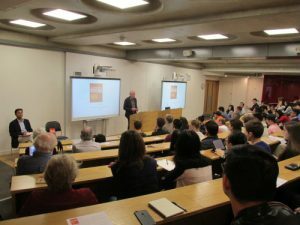 Speakers included: Lucan Way (keynote), Minxin Pei, Rana Mitter, Patricia Thornton, Rod Camp, Hilary Appel, Hicham Bou Nassif, James Kynge, Matthew Erie, Aseema Sinha, Paul Irwin Crookes, John Farnell.